Summer is finally here and in full swing. There’s no better time than now to get out and become physically active! According to the U.S. Surgeon General’s Report on Physical Activity and Health, inactive people are nearly twice as likely to develop heart disease as those who are more active. Spending just 30-60 minutes each day involved in moderate physical activity will lower your chances of having a stroke, certain cancers, high blood pressure, diabetes, as well as other medical problems. Additionally, regular physical activity can boost the way you feel. Following are some ideas to help you and your family get outside, enjoy summer, engage in physical activity, and improve your health. 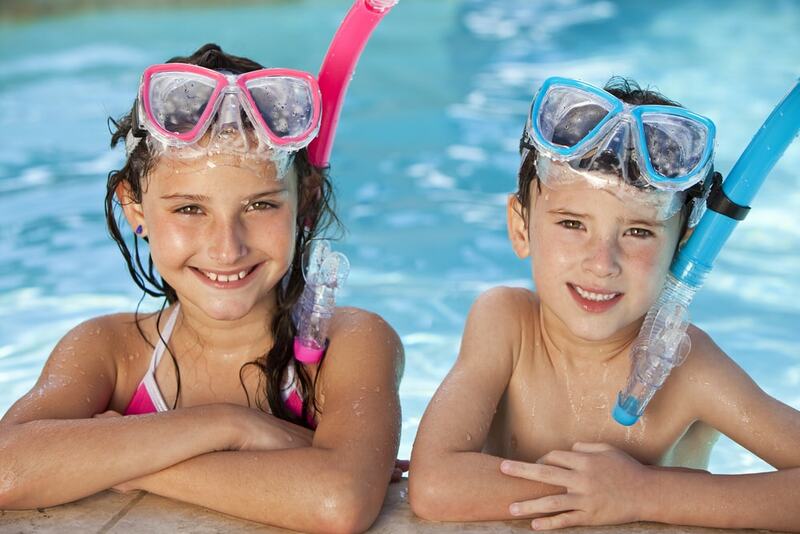 Swimming – This is a no-brainer for summer time, but swimming pool fun actually has multiple health benefits. It is considered vigorous physical activity (which means you burn more calories), because it keeps your heart rate consistently elevated. Continually climbing in and out of the pool further increases the intensity and makes for a full body work out. Because you are in water, the impact stress to the body is minimized, thereby lowering your risk for musculoskeletal injury. Lastly, it builds endurance, muscle strength, and cardiovascular fitness. Bike Riding – This activity is fun for the whole family. Remember, children under the age of 10 should stay on paths or sidewalks. Rock Climbing – Kid-sized rock climbing walls are becoming increasingly popular in our area. It strengthens your core and is a fun way for your kids to scale new obstacles, one step at a time! Going Outdoors – A dose of nature is great for the whole family! Visiting a Water Park – This idea is a ton of fun for kids! Climbing the stairs at each slide, using your core as you slide down, and running to the next slide is great exercise. Signing up for a run – There are many local fun run/walks around Atlanta. Many of these have races just for kids. Finishing a race like this gives kids a sense of success and accomplishment. Holding a Water Balloon Fight – Have a family backyard water balloon fight. The commercial “Bunch O Balloons” make it quick and easy to fill a large number of balloons at once. Store them in a plastic pool or large tub. Then, ready, set, and go! This activity is sure to bring your family lots of laughter, fun, and exercise too. While enjoying these summer time fun activities, don’t forget to play it safe and take some common-sense precautions to avoid injury. Wear helmets when biking. Try to do some of these activities during the cooler and less humid parts of the day. Wear light, loose-fitting, “breathable” clothing. Be sure to apply enough sunscreen – and reapply every two hours, and after swimming or sweating. Drink adequate water before, during, and after your physical activity. Remember, you should be drinking half your body weight (in ounces) every day. Watch out for symptoms of heat exhaustion: Dizziness, headache, nausea, confusion, and/or body chills. So, make the choice today! Get outside with your kids, enjoy summer, and get active!